Yep, today Grace and I turn 9 years old! First off we would like to send out a big congrats to our other litter-mates: Cosi (now living in Colorado), Sable (living in Georgia), and Suzy (also in Georgia). 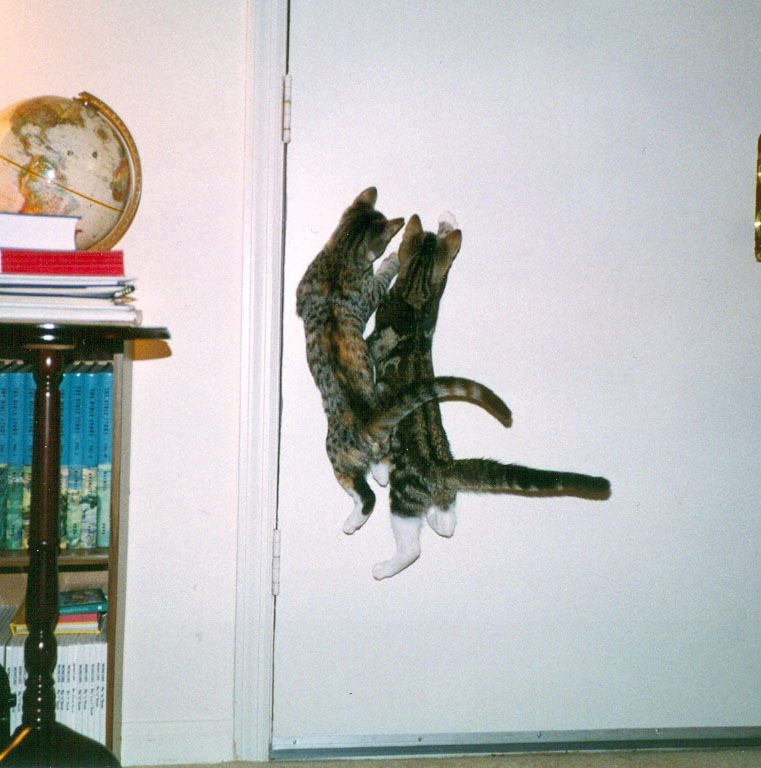 Grace and I are remarkable felines, and have exhibited our special tallents from a young age. Syncronized jumping has long been one of our speciallities. And now the big jump forward to this afternoon. Grace and I enjoyed a few moments in the laundry basket for old time's sake. Of course it wasn't long before our mother came along and booted us out. She looks pretty happy doesn't she?